The CWSA is a recreational, coed soccer organization, serving youth in Herscher, Limestone, Kankakee Illinois and surrounding areas. As we begin preparing for our 2019 season, we would like to thank our sponsors, parents, coaches, grandparents, players and other volunteers. You help us make our league a success! Click here for a tentative 2019 season schedule. Our mission is to implant in the youth of the community the ideals of good sportsmanship, fair play and honesty for the betterment of their physical and social well-being, through the sport of soccer. 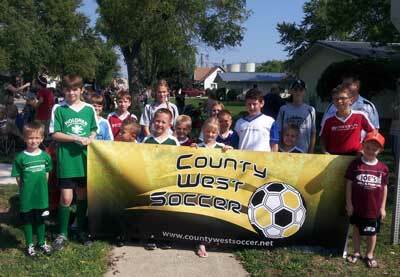 CWSA strives to provide an opportunity for every child to learn and play soccer, regardless of skill level. CWSA is a non-profit, co-ed, recreational soccer league, run by a board of directors on a volunteer basis and serves youth in the Herscher, Limestone, Kankakee IL and surrounding areas.